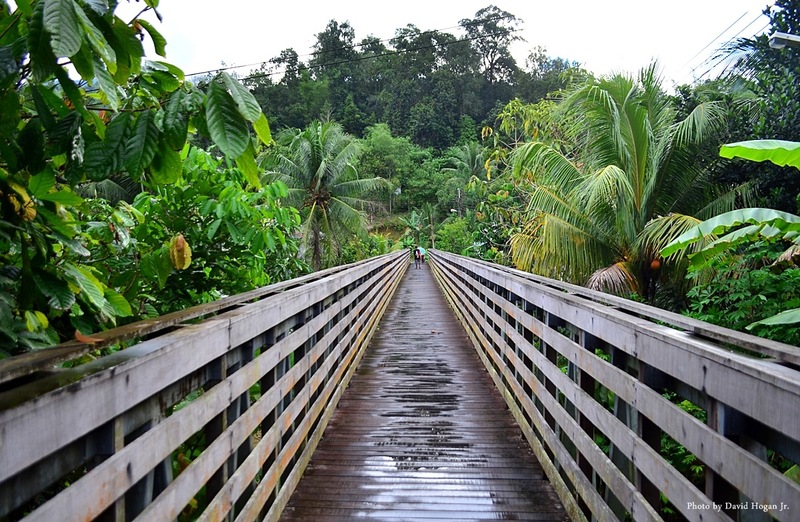 As a frequent traveler, and especially all over Sarawak in the last 10 years, I have to admit that I have never been to the popular Annah Rais Longhouse. 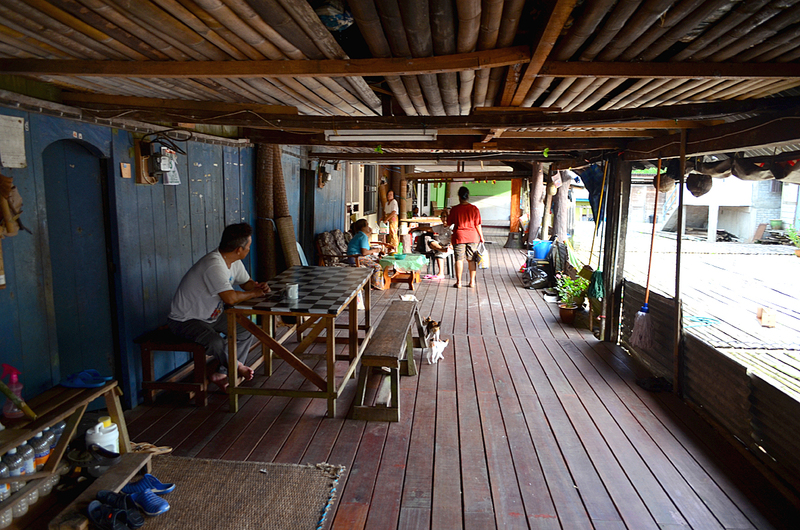 This is one of the most popular longhouses that a majority of travellers would visit and is sold by local travel agents. I have been to traditional longhouses deep in the interiors of Sarawak, at places like Lemanak and Batang Ai, which are easily five to seven hours traveling, but not to Annah Rais in the main Padawan area. In October 2017, I finally managed to visit this Bidayuh Longhouse which is just an hours drive from Kuching city. Some people claim that Annah Rais is on a more commercial side, due to the proximity being close to Kuching city, hence the dwellers here are more modern and up to date. This was one of the reasons that over the last decade, I choose to visit other longhouses in the remote areas. Annah Rais village is predominantly Bidayuh, with an exception of cross marriages to other races. The village is estimated to be over a hundred years old, and has expanded in all directions throughout the century. 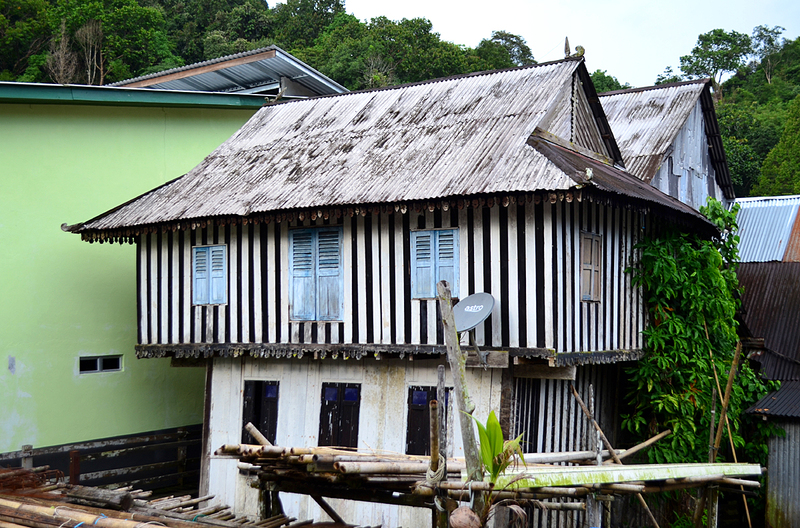 Ever since the tourism boom in Sarawak, the Bidayuh community here had turned this traditional home into one of the most popular tourist attraction just out of Kuching. Visitors from the world over are seen doing day trips here whole for those who want to experience staying here, there are 9 registered local homestay programs available. 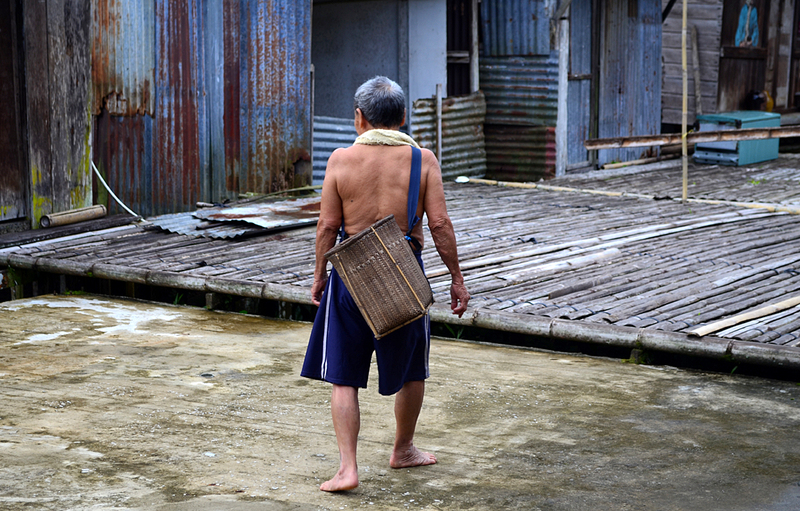 Driving about an hour from Kuching, I made my inaugural step into this fascinating culture where you actually get to walk around and see the Bidayuh people going about their daily lives. 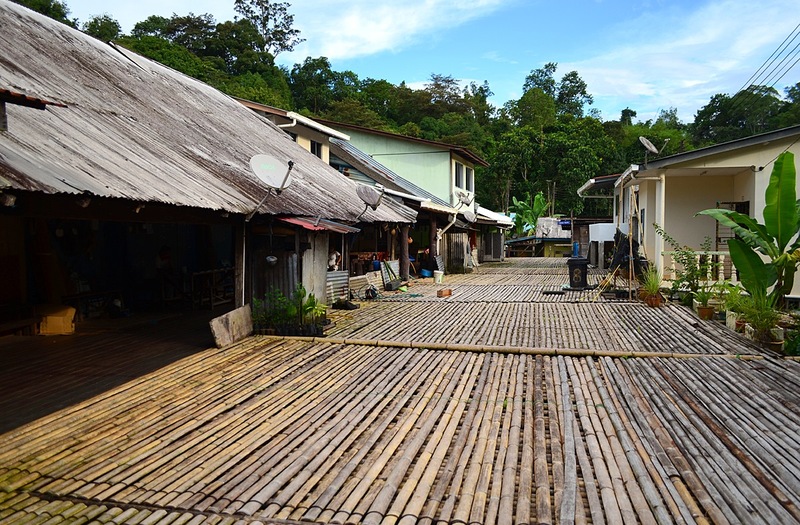 The massive longhouse is interconnected by a wooden or bamboo walkway, which is the main common area where families would sit around and talk and kids play. Annah Rais is so huge that it seems like one entire village is connected together with home run restaurants, grocery shops and the local homegrown products. 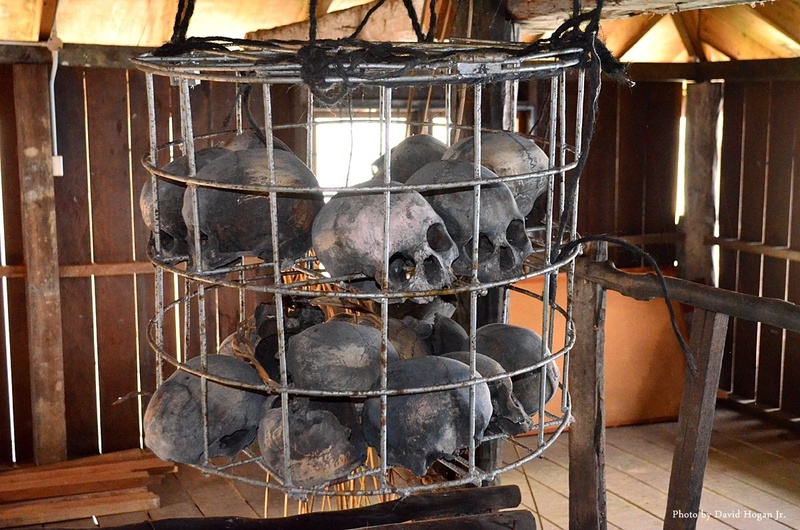 The first unique feature I came across was a headman’s house or skull house where I was intrigued by a collection of traditional skulls that were in a cylinder wire cage. I believe these were the invaders of the longhouse where the Bidayuh people caught and beheaded. 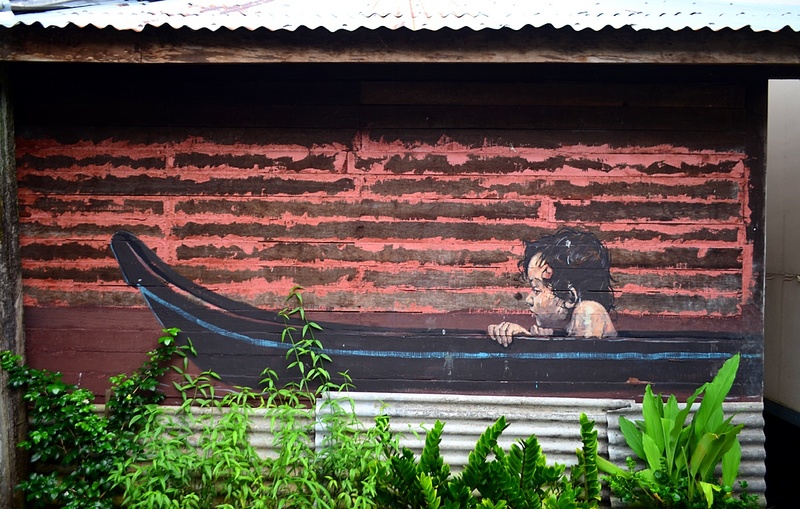 Walking along the main route, two wall murals from world famous Lithuanian artist Ernest Zacharevic is spotted on the walls of certain homes. He was invited to paint some of his murals here at Annah Rais in 2014. At the far end of the longhouse, there is one unit called a Bidayuh Show House where I saw what a traditional Bidayuh home looked like back in the day. It displays simplicity and basic living by using natural resources. Souvenirs can be found sold by a number of homes, which are usually traditional Bidayuh items such as beads or woven baskets or mats. 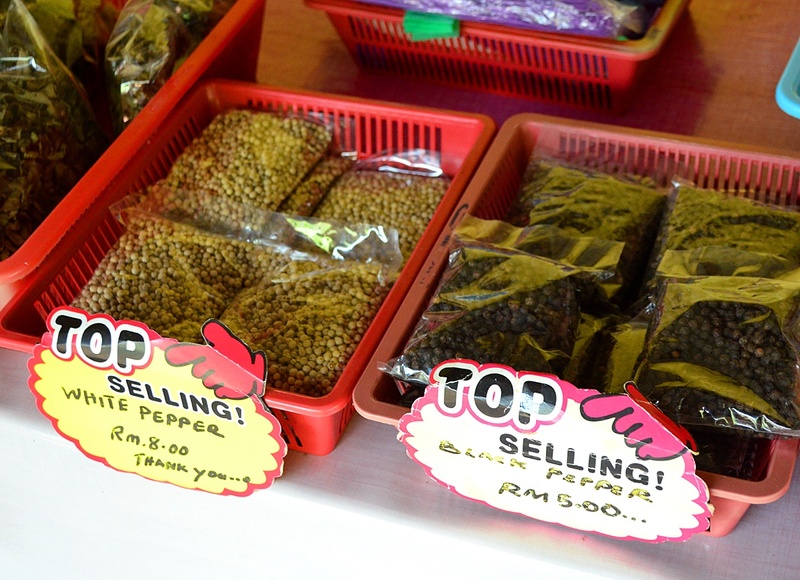 For fans of the world famous black gold or black pepper, you can buy the Sarawak black and white pepper in packets here. 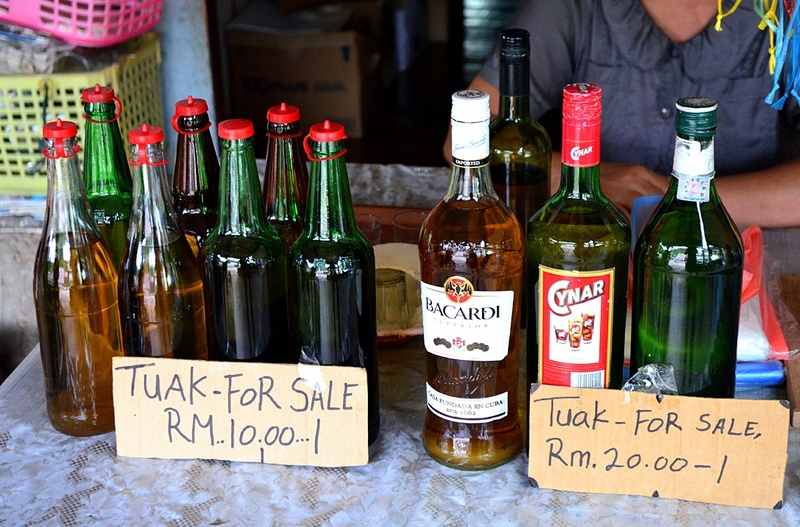 And for those wanting to sample the famous local brewed rice wine or Tuak, this can be done here too. I also noticed that bottles are also for sale from some of the homes here at very reasonable prices. Annah Rais is one of the most popular tour packages that can be booked from any of the travel agents in Kuching. Alternatively, many also use private taxi services to get here by them selves or even rent a car to self drive here. For tickets, there is a RM8.00 entrance fee before entering the longhouse and I recommend you go before 10.00 AM. A glass of rice wine or Tuak is also served to non Muslims when you purchase your ticket.